Teaching Without Walls: Life Beyond the Lecture: Archive: Animoto for Creating Engaging Videos! Archive: Animoto for Creating Engaging Videos! Last week's free "Learn with Michelle" webinar, Animoto for Creating Engaging Videos, was fun and energetic! Thanks to all who participated. A special thanks to +Michael Kieley for the great ideas he contributed during the webinar and the fabulous course promotion video he added to the "bag" and to +Ludmila Smirnova for also sharing a link to her course promo video in the webinar resource "bag." 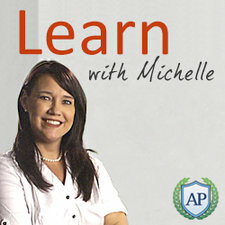 Share your great teaching ideas in the Google+ Learn with Michelle Community.